Ford took a big risk with last year’s all-new F-150, and one would think its success alone should be reward enough. But, the 2016 Ford F-150 pickup isn’t resting on its laurels. The F-150’s aluminum body and turbocharged EcoBoost V6 engines are unique in the full-size class, leaving the Chevrolet Silverado, Ram 1500 and Toyota Sequoia playing catch-up. The weight savings afforded by the aluminum body result in greater payload and improved fuel economy, as well as help the F-150 achieve best-in-class towing. And, while the EcoBoost V6 has proven it is capable of challenging the best V8s, both the Ram and Nissan Titan now provide a diesel option for their 1500 trucks, something Ford and Chevy have yet to offer. Ford’s 2016 F-150 pickup offers impressive towing, payload and fuel-economy figures, not to mention a powerful set of engine options. Built for the tough jobs pickup truck owners demand, the F-150 also has a softer side, as evidenced by its luxurious King Ranch and Platinum trims. If you’re tight on space and cash, the 2016 Ford F-150 may be more truck than you need. A fully loaded F-150 can easily pass the $60,000 mark. If you’re not transporting massive payloads, a less expensive midsize Chevrolet Colorado, Toyota Tacoma or Nissan Frontier might be a better choice. Ford’s 2016 F-150 full-size pickup gains the Sync 3 infotainment system, a natural gas/propane fuel-prep package for the V8 engine, new 20-inch wheels and a new Special Edition Appearance package for the XLT. Also new is the Pro Trailer Backup Assist that makes guiding a trailer as simple as turning a knob. We thought for sure a small-displacement V6 has no place in a full-size pickup, but boy were we wrong. The lighter, stronger 2016 F-150 from Ford is perfectly matched to the 2.7-liter twin-turbo EcoBoost V6, which proved surprisingly willing. Unless you plan on towing more than 12,000 pounds, we’d say the larger 3.5-liter EcoBoost is unnecessary. The F-150 handles remarkably well considering its size, and whether we were towing, off-road adventuring or cruising long stretches of smooth highway, Ford’s full-size pickup felt right at home. While we were impressed with the F-150’s acceleration, ride and handling, we did find the brakes to be a bit touchy. Inside the cabin, the F-150 coddles its occupants with wide seats and a quiet cabin. The new Pro Trailer Backup Assist requires the driver only to turn a knob left or right to guide a trailer, as the F-150 does all the steering work. Using a knob on the dash while watching via the rearview camera, the driver need only input left or right commands and the F-150 will do all the steering and braking. Guiding a boat trailer down a ramp or camper into a tight spot has never been so easy. Although first offered on some luxury sedans, the 2016 Ford F-150’s 360-degree camera is perfectly suited to the needs of a full-size pickup truck owner. The camera is not only useful when parking, it gives a down-low view of the road, perfect when navigating rutted trails or boulder-strewn passes. Tough meets modern in the 2016 Ford F-150, where buyers can get cool features like a Wi-Fi hotspot, two 3-prong power outlets, smart cruise control, active park assist, and the ability to have the Sync 3 infotainment system read text messages to you while you drive. The SuperCrew (crew cab) is extremely roomy, with rear-seat legroom that would make some full-size sedans envious. The F-150's floor is flat, making the middle rear seat comfortable, while also allowing more room for storage. Also making the cab comfortable are seats that have been carefully sculpted to reduce fatigue. Ford’s full-size F-150 pickup for 2016 has the only truck body that's made of aluminum, but that material doesn’t reduce the truck's capability or strength. When it comes to the F-150's exterior, the style is rugged and bold, but much of its appearance was inspired by function. Its LED headlights and taillights look good, but more important, they use less energy. LED spotlights come in handy in poorly lit areas like campgrounds. There are pop-out steps at the bed sides to make it easier to reach cargo. Even the seamless sliding rear window looks good, but is designed to reduce complexity. Every F-150 gets the same ultra-strong hydroformed, fully boxed frame, which uses significantly more high-strength steel than in previous-generation F-150s. Aside from the solid foundation, one of the most impressive things about the 2016 F-150 is that the equipment that comes standard makes it easy for an F-150 owner to get work done safely without breaking the bank. All F-150s also come with hill-start assist and Trailer Sway Control, both extremely handy when towing. Also standard are fail-safe cooling, and Curve Control, which works to keep the truck under control if the driver goes into a turn too fast. For an additional fee, you can get running boards that deploy when a door is opened and retract when the door closes. Front passengers are offered heated and cooled seats and rear-seat passengers can get seat heaters too. On the safety front, the 2016 Ford F-150 is offered with inflatable rear seatbelts and a blind-spot information system. A voice-activated navigation system is available, which gives you real-time traffic updates. You can have text messages read to you as you drive. The ultimate options are the Platinum and King Ranch models, which deliver top-of-the-line equipment and model-specific style. There are four engine choices for the 2016 Ford F-150: one regular V6, two twin-turbo V6s and a traditional V8. All four engines use a 6-speed automatic transmission. Ford doesn't offer a diesel engine in the 2016 F-150, but it does have two excellent twin-turbocharged V6 engines that have plentiful torque and are ready for towing and hauling. And those who aren't interested in a turbo V6 can look into the trusty 5.0-liter V8. Ford offers customers the option of 2-wheel or 4-wheel drive (2WD, 4WD). The 2016 Ford F-150 starts at a competitive $27,510 Manufacturer’s Suggested Retail Price (MSRP) for the regular-cab, 2WD XL. With that, the full-size truck has a regular-length bed (6-1/2 feet) and the base 3.5-liter V6. Ford is focused on aggressive pricing with the engines. Looking at that same XL, you can upgrade to the excellent 2.7-liter EcoBoost for just $795, or to the 5.0-liter V8 for $1,595. 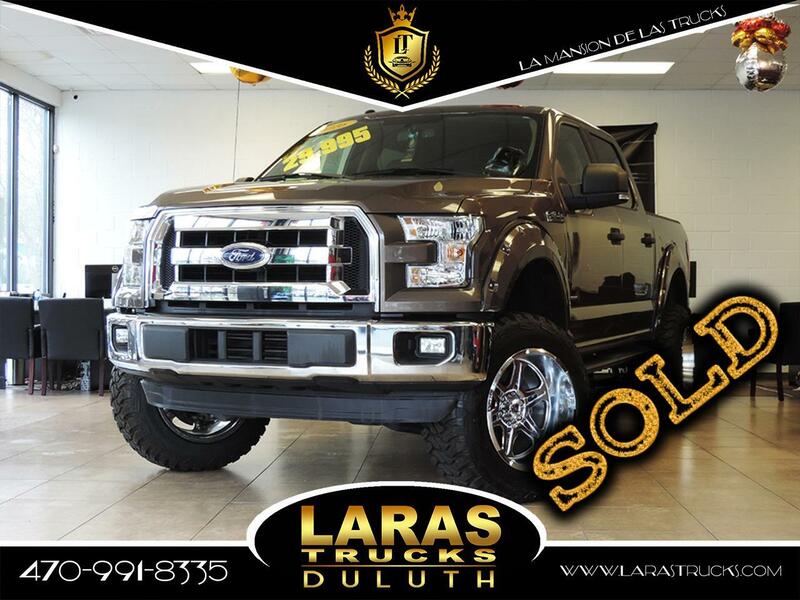 An XLT Super Crew starts around $38,000. The most expensive trim level is the Platinum, which costs almost $65,000 when you check off most of the option boxes. As with previous F-150s, the 2016 truck holds strong resale values, still slightly behind the Toyota Tundra but better than the Chevrolet Silverado, Ram 1500 and Nissan Titan. If you want the confidence of knowing what folks in your area are paying for their new trucks, check out the Kelley Blue Book Fair Purchase Price.